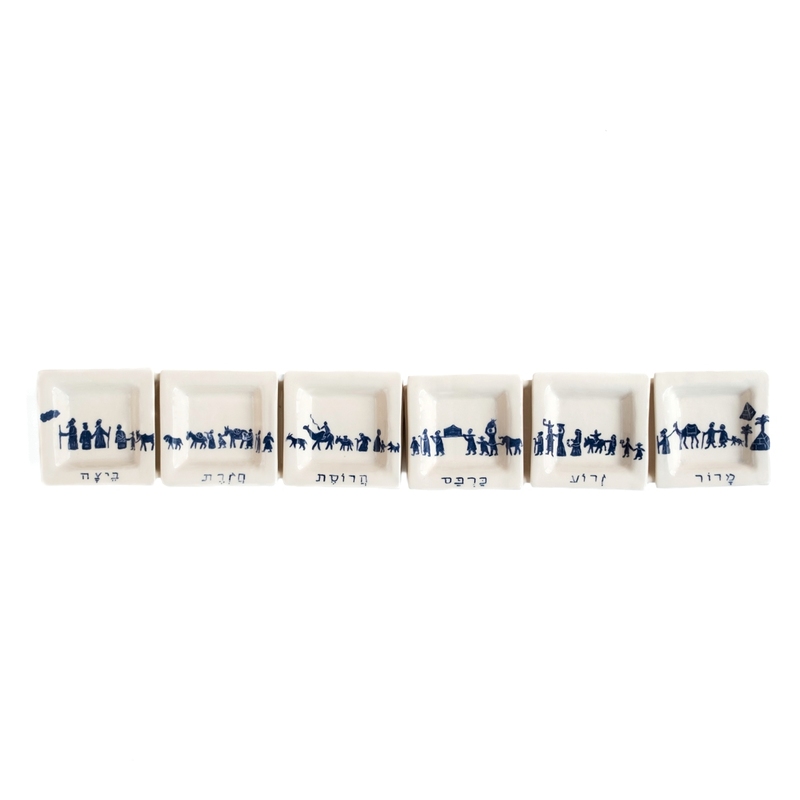 Cream colored ceramic Seder plate for Passover with an Exodus design in blue. 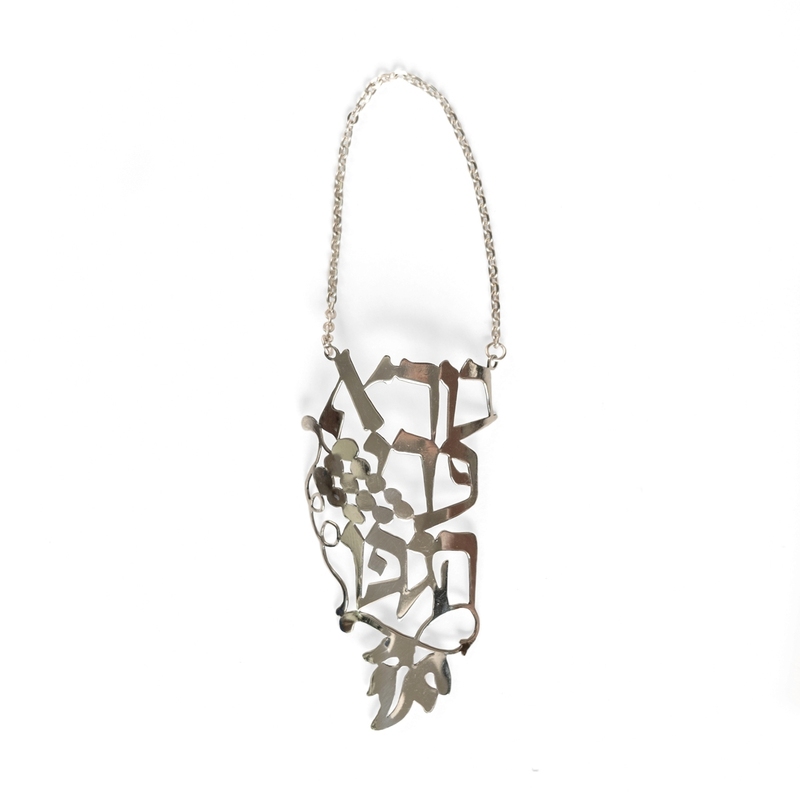 The design shows the Jewish people walking away from the pyramids (Egypt) and led by the pillar of cloud. 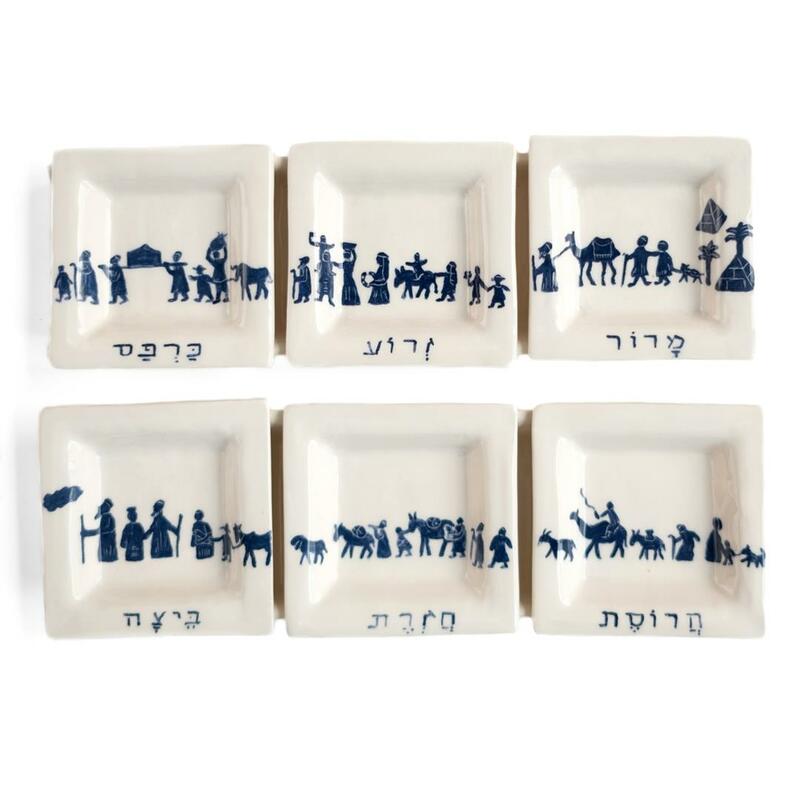 The plate is modular and comes with six little dishes placed on two rectangular trays. 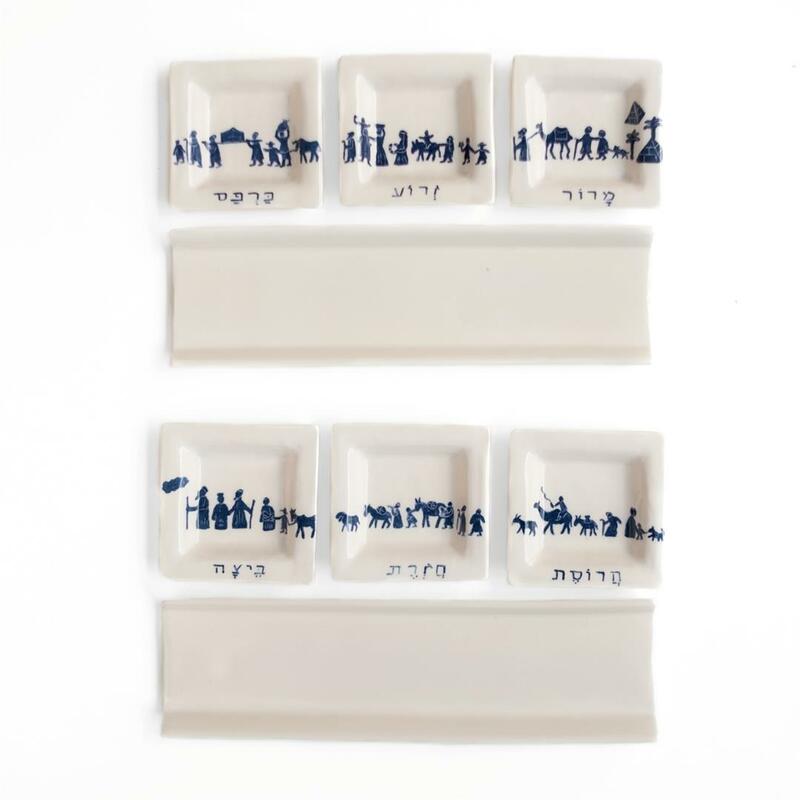 You can place the trays one beneath the other or next to each other for a continuous design. 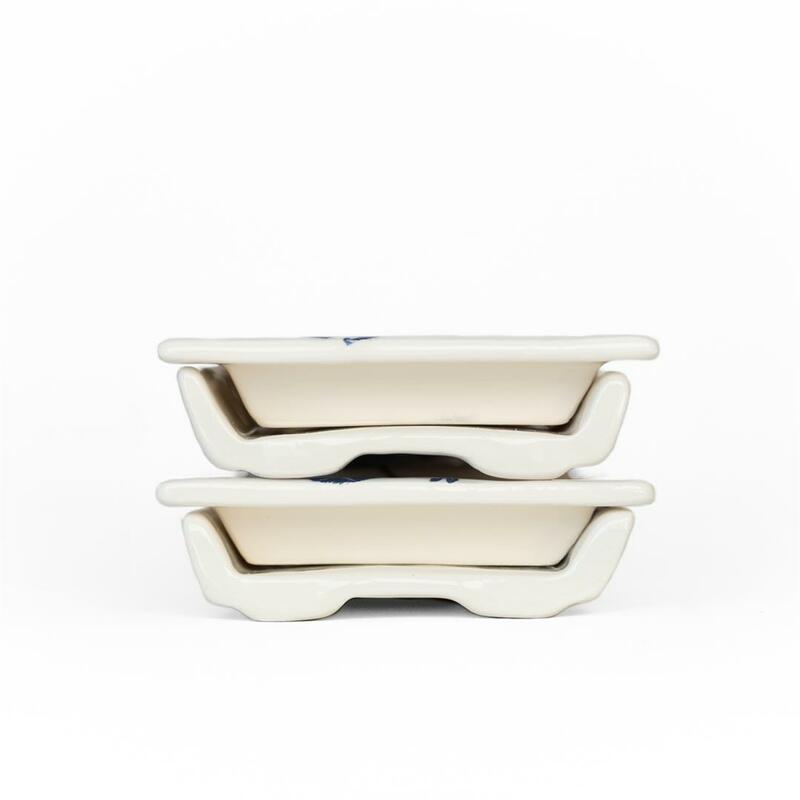 Trays and plates can be stacked for easier storage. Each individual dish is approx. 3.3" X 3.3"